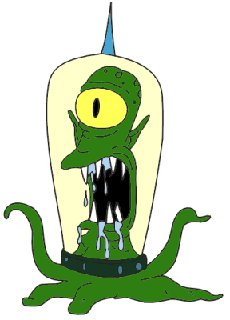 Fantastic result, must be the first game that Gick team has lost in well over a year...then again, not sure if it's the same bunch of players as last season but kodos nevertheless. No, very different set of players from last year, a lot of them have moved up to the J4s who aren't doing too well. We were able to put out a strong side yesterday though so thats a great result for Tallaght alright. combatlogo wrote: Fantastic result, must be the first game that Gick team has lost in well over a year...then again, not sure if it's the same bunch of players as last season but kodos nevertheless. Great to see the Branch moving club fixtures to avoid a direct clash with Leinster v Sarries in the HC. There are a number of fixture clashes throughout the domestic club programme on Saturday 15th January when Leinster host Saracens at 1:30pm; there are games in the Leinster League Division 1A, Leinster Seconds League Division 1A, Metro J2 League, J4 League and J5 League. 1. The Leinster League Division 1A, Leinster Seconds League Division 1A and J5 League fixtures scheduled for Saturday 15th January are being moved to the following day, Sunday 16th January. 2. The Metro J2 League and J4 League will be moved to the end of their respective Leagues on Saturday 12th March (KO's at 1pm, Wales v Ireland at 5pm) with the exception of J4 League Section "B" - Division 1 whose games will be moved to Saturday 26th March. Metro J2 League - Section "A"
Metro J2 League - Section "B"
• Parkmore v NUIM Barnhall "B"
Hmm, amazing improvement in Terenure's results recently, from losing to Tallaght and Bective at home to running up cricket scores! I'm sure it's only a coincidence that their J5's have improved just as their J3 team pulled out of their league. It is a coincidence. I can assure you that no J3s players have been playing for the J5s and I know because I'm involved with the J5s. As far as I'm aware the J3 players have either gone up to J2s or just stopped playing for the season. I wasn't around for the Tallaght game but heard there was a few individual mistakes and ill discipline that cost us badly. Not taking anything away from Tallaght though, apparently they had a few very good players that we didn't get a handle on. I was around for Bective which was played in a hurricane which meant we couldn't spread the ball around and making yards was really difficult. They scored a try really early on, had a big pack that kept it tight and in that wind we just couldn't clear our lines. We were so wrecked from the first half of defending that we found it difficult afterwards and the wind wasn't quite as bad which meant Bective could put clear their lines more easily. Wanderers has conceded their third game of the season tomorrow and are apparently pulling out of the J5 league. So will all their results this season be expunged? Got to admit, it would suit Tallaght down to the ground if they were! So we're nearly there. Only two more weekends to go. It's turned into a bloody good league with not too many blowouts this year. What would happen if Barnhall second J4 team came back down from J4 and North Kildare/Wanderers rejoined next year? It could make for a fairly congested fixture list. There's been some good games alright, was a good initiative by the Branch. Barnhall should probably drop down...possibly one or two others. Aye, while Barnhall had a few wins their defeats were pretty heavy. Has been a good league alright. Since Tallaght can't win it anymore, I hope Marys do. Decent bunch of lads. That said, still want to beat them in that last game. A losing BP should be enough for them to pip Terenure. Oh and great to see kick-off times moved to 1 on that day. Make it handier to get over to Aviva for the Leicester match. Donny B. wrote: Has been a good league alright. Since Tallaght can't win it anymore, I hope Marys do. Decent bunch of lads. Come drinking with us in the Marys bar instead! Heard tonight that the match has been moved to Thursday under lights at your place, so might join you for that drink after all. If I understand the league rules correctly Marys won the league yesterday. And yes, Marys won the J5 league after a hard fought encounter in Bird Avenue. Not bad for a team beaten 100-0 in it's (and many of the players) first ever game 4 years ago. Jeez is that that same team from a few years ago, fair play. I remember playing them when they were getting a couple of hidings and talking to some of the lads after one of our matches and they were saying they were just looking to get new guys bedded in and have some fun while doing it, yhat results would come down the line. Looks like they were right. Congrats on winning the league, don't think anyone can have any complaints but that the best team won. Aye. We started off as a splinter from the current J4's and got some unreal hidings in 07-08. Most of the lads had never played rugby before. That was before they seeded the various groups in J4 so we came up against the likes of Belvo. Following year was worse if anything. Then the J5 league came in last year and it's fair to say that it's been a brilliant and competitive league for bringing new players into the game. I hope teams don't start stacking teams there to try and win silverware. A proper beginners league is a fantastic way to grow playing numbers.